Power Cord. This cable is designed to connect an electrical appliance with a C10 inlet to line power. Features include • Black PVC jacket for durability, flexibility, and low visibility. 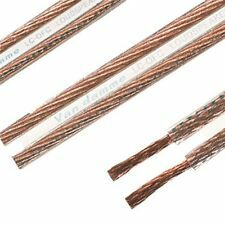 • Oxygen-Free Copper (OFC) conductors for lower resistance and increased current flow. 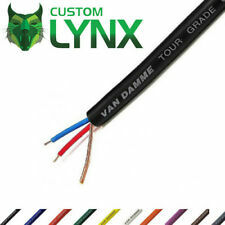 Van Damme HIFI Series Studio Grade Speaker Cable 2 X 6.0mm. Switchcraft 380 Straight Mono 'Stumpy' Jack Plug Connector. 1/4" 2 Conductor, Shielded Handle Plug. 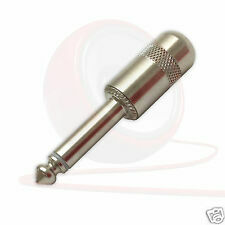 Sleeve, Tip and Body: Nickel-plated copper alloy. 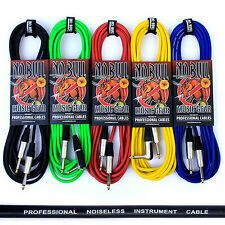 Bulk Best High Quality Guitar, HiFi Interconnect. Colour:white blue. Note: Light shooting and different displays may cause the color of the item in the picture a little different from the real thing. The etherCON Series is a ruggedized and lockable RJ45 connector system, optimized for pro audio, video and lightning network applications. Screened Cat5e RJ45 Ethenet Lead. Insulation resistance > 0.5 GΩ. Connector Type: XLR 3 Pin Male. 10 x XLR Mounting Panel Socket. Total size: 31 x 26 x 21mm. Color: silver. Secure connection clip at both ends. These cable are sent to you with Not sure what you require?. What's Included. (Insulation Resistance: 100000 M ?. / — m Min. at DC 125V, 20C. DC Resistance at 20C: Inner Cond. : 0.083?. /Ft): 0.13?. Shield: 0.012?. /m(0.0037?. /Ft): 0.025?. Color: Black Length: 2.9 metres 1 x USB to Microphone cable Brand Unbranded MPN Does not apply UPC 4894462167939. This adaptor provides an XLR socket from a device that only has a 6.3mm jack socket. 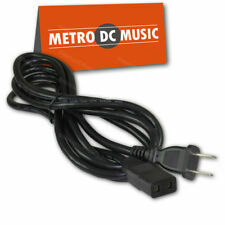 This adaptor can be used at studio level and live. This adaptor can be used in both directions. 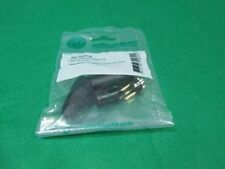 Tuchel Kabeladapter Kleintuchel /DIN-XLR rot MD421 u.a. ADAPTERKABEL Kleintuchel/DIN auf XLR männlich, in rot, damit's im Studio übersichtlicher wird. für alle historischen Mikrofone mit Kleintuchel- oder DIN-41524-Anschluss. Natürlich gibt es den Adapter auch in klassischem schwarz, in grün und in blau. Lot of 25 Switchcraft ORIGINAL 3502A Long Body RCA Male Cable End, Shielded Solder Type. The 2-Conductor Shielded RCA Straight Plug from Switchcraft with nickel handle and nickel plug features an easy-to-assemble construction with a long handle and plug assembly. The 2-Conductor Shielded RCA Straight Plug from Switchcraft with nickle handle and gold plug features an easy-to-assemble construction with a long handle and plug assembly. The long handle and cable clamp can accommodate cables up to 0.290". Zip code from 92126 to your zip code. Confirm that by going to the following link Quantity: 10. 2x 25 ft foot Speakon to Speakon EMB professional pro audio speaker cables Set of 2 EMB Professional Premium 2 Conductor 25 Foot 16 Gauge Speaker Cables Speakon male connection on one end and Speakon Male Connection on the opposite end. These are High Quality Cables that are built to last a lifetime. They feature a thick Rubber Jacket and Quality Heavy Duty Connectors. Perfect for Stage Monitors, House Speakers, Subwoofers, more... 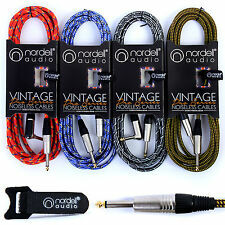 This listing is for Both Cables Pictured, Buying qty=1 Will get you 2 Cables. If you need 4,6,8 Cables Please Enter 2,3,4 etc.... Note: Connectors are not "Neutrik" Brand, They are Generic Speakon Type and Work Great.